To show our appreciation for our military service members and their families, eligible USAA members* can save up to $1,000 on a new MINI. Discounts vary by model and can be combined with some other offers, so please contact your MINI Dealer or Motoring Advisor for full details. *MINI incentives are only available to persons eligible for membership in USAA’s Property and Casualty Insurance Group. P&C membership is generally available to current and former members of the U.S. Military and their former dependents. MINI requires presentation of a photo ID, your Exclusive Manufacturer Offer Code Certificate with a unique Customer ID and Offer code. Visit the USAA.com – Manufacturer Incentives to obtain your MINI Manufacturer Offer Code Certificate. Certificates may only be redeemed in the U.S. One incentive per member, per offer code, per calendar year for new MINI vehicles. Eligible member must be the purchaser. See your dealer for additional details. This advertisement is provided on behalf of MINI. No personal information was provided by USAA to MINI. 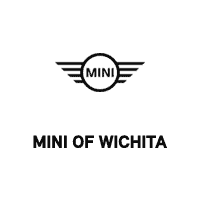 All eligible new 2017 and 2018 MINI models are included in this program. Program is valid 1/3/18 through 1/2/19 and may be combined with certain other offers. Refer to the MINI Service and Warranty Information booklet for complete terms, conditions and limitations. Visit your authorized MINI dealer for important details.